1-877-763-1540 or send us an email below. Emergencies happen at all times of the day. For this reason, Stutters DKI has a 24 hour, 7 days a week, 365 days a year Emergency Response program in place. 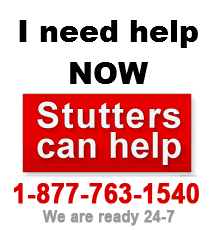 Stutters will respond to your emergency, no matter what time of day! A team member will arrive promptly and help prevent further fire, water, smoke, mould, or storm damage. Whether a garage fire is discovered in the middle of the night or a foot of water is found in your basement, Stutters will respond promptly. Call us now and be assured knowing everything is under control. Kelowna: The Kelowna head office is located on Trench Place, near the downtown core of Kelowna. See Map Kelowna: The Contents Division warehouse is located on Trench Place, in the same building as our head office. Vernon: The Vernon branch was opened in 1995 and is located in the industrial area off of 14th Avenue. See Map Penticton: The Penticton branch was opened in 1996 and is located in the south end of town just off of Government Street. Big White: The Big White office was opened in 2010 and is located on Big White road near the market. See Map Castlegar: Our Castlegar office services the West Kootenays. Osoyoos: The Osoyoos satellite office. See Map Other areas we service: Call your local number or our toll-free line.